Women with a strong sense of aesthetics are bound to appreciate the exquisite design work featuring on this pair of red & green minakari earrings. 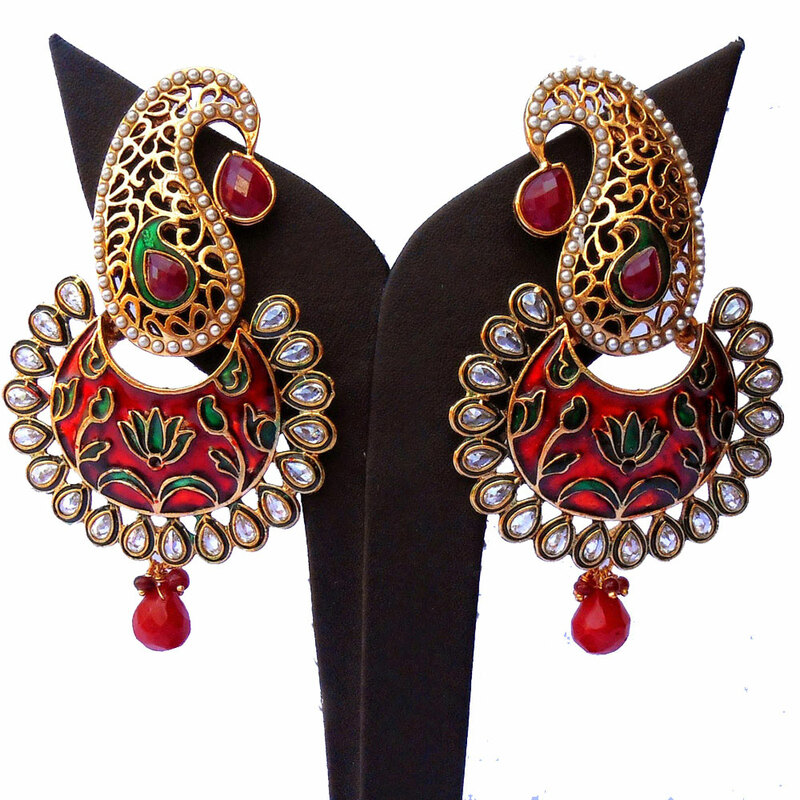 Read More..The gold plated brass casing that forms the stub is itself consisting of extremely intricate design patterns, while the minakari work helps in enhancing its beauty by using warm shades of red and green. Finally, the large teardrop shaped red gem hanging from the piece combines well with the numerous beads interspersing the entire piece to make it even more beautiful. Show Less..